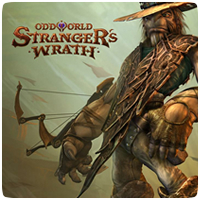 Posts tagged "Oddworld: Stranger’s Wrath"
Just Add Water has confirmed that Stranger’s Wrath HD on PS Vita will launch early to mid-November at the latest. The release window was revealed to Eurogamer in an interview at the Eurogamer Expo over the weekend. The game is two weeks away from submission with Sony, so it is likely to be available in November providing it passes Sony’s QA tests. Oddworld: Munch’s Oddysee HD and Oddworld: Stranger’s Wrath HD will both be available on PlayStation Vita “very soon”, Oddworld Inhabitants has announced. On their Facebook page, Oddworld Inhabitants suggested development will be coming to a close soon.